PTFE B7 Cap Screws IN-STOCK! 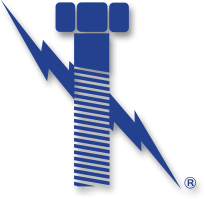 Lightning Bolt keeps an immense inventory of teflon blue PTFE B7 Cap Screws and Teflon Blue B7 Hex Bolts in-stock and ready to ship! Known throughout the industry for its amazing resistance to corrosion, our PTFE coating is a proprietary Flurokote#1 blend that offers superior characteristics for maximizing the life of teflon coated fasteners. PTFE coating are very popular on specifically on B7 studs PTFE and include a tensile strength of up to 4,000psi & an operating pressure up to 100,000psi. Unlike hot dip galvanized fasteners, the absence of oxides promise a safe and easy removal of “frozen nuts”when using teflon coated fasteners from Lightning Bolt. PTFE hex bolts are available in a very wide range of sizes and in many different lengths. The grade B7 fasteners are governed by the ASTM A-193 specification, but is a hardened alloy similar in strength to the SAE-J429 grade 5. We also stock the teflon blue nuts that the ASTM standards have engineered to mate with B7 studs. Why Lightning Bolt for PTFE B7 Cap Screws?